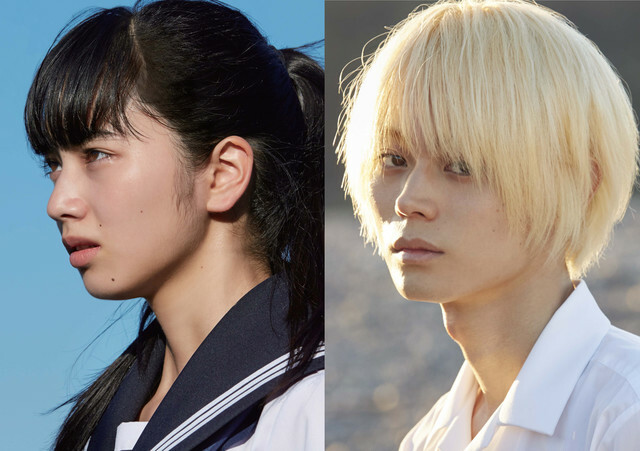 The cast for the film, Oboreru Knife, was released earlier this week. 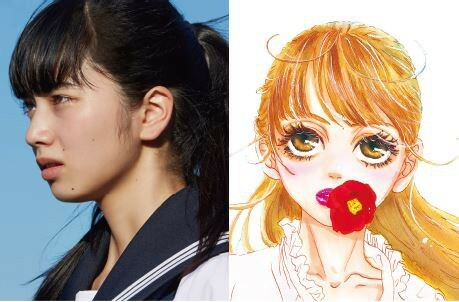 The film follows Nana Komatsu as Natsume Mochizuki, a model in the sixth grade who suddenly moves from Tokyo to the countryside. Natsume has a difficult time adjusting to her new life as she misses modelling and her friends back in the big city. However, a captivating encounter with a mysterious boy, Masaki Suda as Kouchiro Hasegawa, changes her life in ways she’d never imagine. 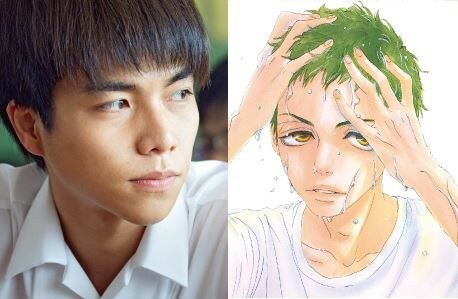 Johnny’s West’s Daiki Shigeoka will play Katsuoshi Otomo, a kindhearted classmate who falls in love with Natsume. 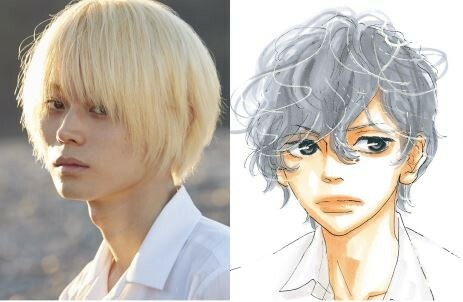 Fellow classmate and big fan of Natsume, Kana Matsunaga is played by Mone Kamishiraishi. Find out what the cast had to say about their characters! At first, I didn’t get Natsume’s character and even after days and days of filming, I would get nervous shooting difficult scenes. I felt frustrated for often causing problems. But I was able to relax and continue my role as Natsume until the end thanks to the help of the staff and my talented co-stars. This is my second time co-starring with Suda but I’m really glad that Suda was Kou. This came to my attention in one scene where a truly happy looking Kou and Natsume are laughing. The three week filming period, which included shooting in Wakayama, felt like it lasted for three months but being able to develop Natsume’s character has been a great experience. This was a new experience for me and it was very intense. But I believe everyone is fated to experience such things. After filming scene after scene, I realized Kou is a character full of contradictions. He has a wildness to him that you’d want to avoid at all costs but can’t help but be drawn to. I kept in mind the bittersweet scene of him and Natsume riding bicycles and how happy he was that Natsume was with him. I think I was able to express the feelings of the original work: the innocent love between children, pure beyond that of a love between adults. Shooting this film was fun and nerve wrecking at the same time. I wonder if I did things to the best of my abilities. Compared to all my acting experiences up until this point, this is the one where I felt like I pushed myself to the limit. Playing as Otomo has opened my eyes to how amazing he is. He does tons of things I could never do. But we are similar in the way that we try hard to bring out the best of ourselves. I’m glad this came to my attention. I got to enjoy a taste of a student’s life by wearing uniforms and fooling around with my co-stars of the same age. This work will remind you of things you did or wish you did back in your youth. I’d be happy if fans of the original work and everyone else will enjoy this movie. It was such a busy time that it didn’t even cross my mind shooting only lasted for one week. I was nervous stepping into new ground for the role of Kana. I had a great time thanks to the staff, who always helped me and co-stars who were lovely. In particular, Nana was left a big impression on me. I thought that this is an actress who will transform from here on out. I continue to do my best, without forgetting what I’ve learned from this role. 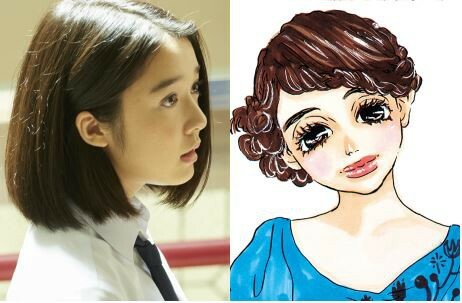 At first glance Oboreru Knife seems like another shoujo film release, however it is quite the opposite. The original material, a manga by George Asakura, deals with serious and dark themes, making this film stand out from other typical shoujo stories. But like other tales in this genre, it is also a story of love, friendship, and coming-of-age. The film is set to open in fall of this year. Note: I’m still working on my Japanese, so I apologize for any translation mistakes that I made.